Toronto Filler SPECIAL: 10 units free Botox with every syringe! Call 416-515-007 or fill out the form. Get in touch today for affordable Skin Filler Injections! We use the best filler products to achieve a natural, balanced look just right for you! We never up-sell or over-sell. Come in for a complimentary consultation and see why our patients send their families and friends to us for the last 20 years. Lip augmentation? Fuller cheeks? Get rid of those fine lines around the mouth? We provide expert facial fillers to have you looking and feeling great! Give us a call and come for a visit! Juvederm Filler Special – 10 units free Botox per syringe! $100 value. 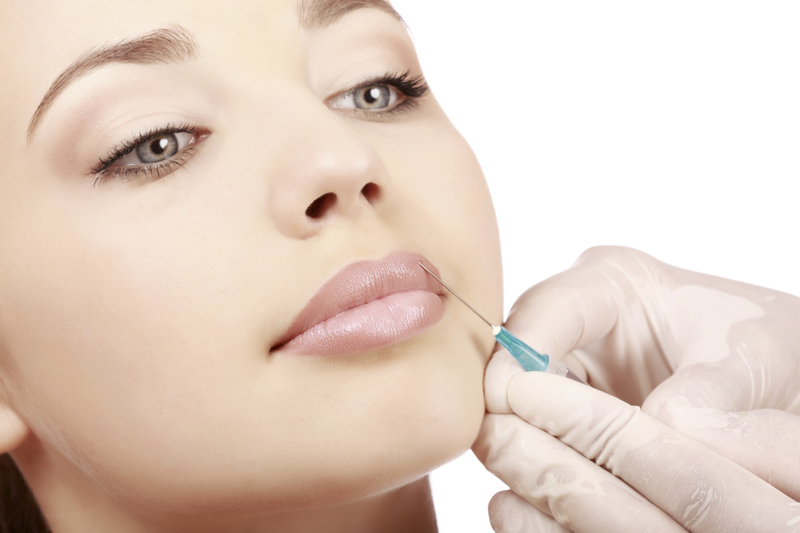 Injectable fillers plump up the skin and bring new life to your look. Fine lines and creases can be smoothed, sunken areas filled in, and lips and cheeks enhanced. Using a fine syringe, your doctor will inject small doses of the dermal filler to the areas of the body previously discussed with your doctor during your first consultation. 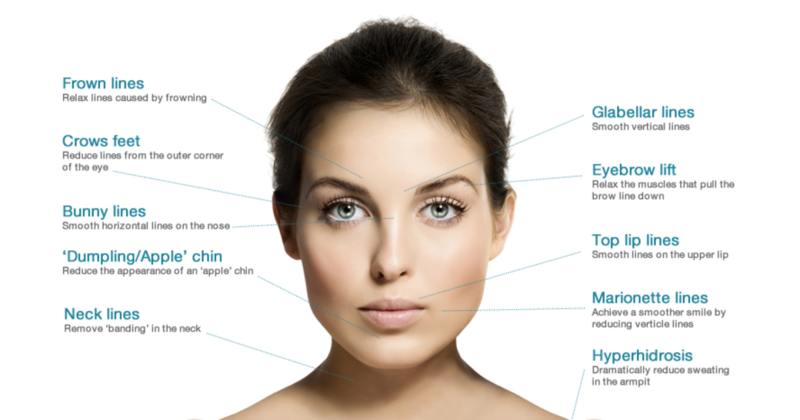 The most commonly targeted areas are in the face, around the eyes, jawline, lips, mouth and forehead. The type of dermal filler used will largely depend on what you’d like to achieve with your treatment. 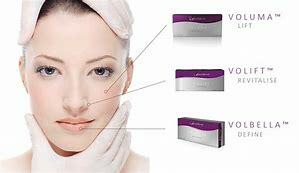 However, we most often use Juvederm or Voluma products, finding them to be very safe and long-lasting. The results of your dermal filler injections can be seen immediately after your procedure. Some patients report minor swelling around the injected area following their appointment. The best part about dermal injections is that you can return to your normal life, immediately following the procedure, though it is advised to keep the treated area cool to reduce swelling, bruising and inflammation. All swelling or redness should disappear in about a week’s time with proper care. Can Dermal Fillers Be Used To Treat Areas Other Than the Face? Absolutely! Although the face the is the most commonly area injected with dermal fillers, they can also be used to add volume to other areas of the body, such as sinking depressions and scarring. Why choose the Baywood Clinic for your dermal skin fillers? Experience. Our Clinic has been providing patients with Juvederm dermal skin fillers and Botox since 2001 and has treated thousands of patients successfully. • Your consultation is always with one of our doctors and is free of charge. There is never any pressure or attempt to upsell; we do not employ professional salespeople who whose goal is to sell you more than you need because they are on a commission. • In fact, we are very careful about choosing good candidates for treatment with Juvederm or fillers. Upwards of 25% of the patients we see requesting this treatment are not suitable candidates, and we tell them so honestly. We suggest they do nothing since fillers are not the proper treatment for what concerns them, or we refer to a Cosmetic Surgeon (for example when a patient concerned about bagginess under the eyes and really Juvederm is not the solution). • Our nurse injectors carry out all treatments and have tremendous experience – we only work with nurses who have at least 10 years experience, have attended hundreds of hours of training and update courses, and have worked with leading Plastic Surgeons or other doctors whose reputations we know first hand. We are so confident about our Nurse injectors that on many occasions they have treated members of our own families. Now that’s real confidence. Products. We have tried numerous dermal fillers over the years at our Toronto fillers clinic, and have found that Juvederm products, made by the same company that produces Botox (Allergan), are the most effective, long lasting, and easiest to inject. This is just our personal preference of course, as there are many high-quality fillers on the market. But Juvederm is a reasonably priced filler that is made of the highest quality ingredients, and consistently has given us, and our patients, excellent results. • Because it comes in several different forms, from Juvederm Ultra to Voluma, Ultra Plus and Volift, it offers us a range of different sized molecules that we can select from to suit your personal needs. • Whether you are looking to enhance your lips, or add volume to your cheeks, or erase those stubborn lines around your mouth, we have the right product for you! And we offer complimentary Botox with every syringe of Juvederm – now that’s a great deal! • Injectable wrinkle fillers like juvederm can give a patient a more youthful, relaxed look by erasing wrinkles around the mouth, eyes, and other areas of the face. It can also add volume, for example, in the cheek area, as we tend to lose it there as we age. So, replacing volume returns the face to a younger appearance, looking more rested and smoother. • For many patients dermal fillers have delayed or replaced the need for facelifts or other types of cosmetic surgery, at a fraction of the cost. Many of our patients aren’t ready for facelifts and find that they get the results they want by using Juvederm, which can fill hollows, and wrinkles in a simple, safe and comfortable procedure that takes less than 30 minutes and offers results that can last more than a year. • Unlike Botox injections, which functions to relax the muscle fibers that lie under a wrinkle, Juvederm replaces volume and lifts the surface of the skin, using a product that naturally occurs in your body (and is mainly water). It fills lines, creases, even scars; thus, areas of concern are softened or sometimes even totally improved. • Wrinkle fillers can act to “volumize” by filling up, plumping and lifting everything from cheeks and chins to noses, jawlines, and temples. And one of the most popular and well-known uses is of course filling out thin lips, enhancing and balancing them to match your own unique face. Smoker’s lines can be treated as well, and the lip can be contoured by our Nurses with Juvederm to make them stand out more in the center of your face. • Juvederm treatment is quick, easy, and safe, but only when done by expert injectors like our registered nurses at the Baywood Clinic Patients often come somewhat anxious, having seen horror stories on the internet, and viewed awful photos of complications. Many of our patients have been referred by a friend or family member who has already been treated here, and having seen the excellent results, are less apprehensive and ready to proceed. • But, of course, as with any medical treatment, there is always some risk, and you will be appraised of all the common, and extremely rare, side effects when we discuss the Juvederm treatment in detail and before you read and sign your consent form. The risk of an allergic reaction is extremely rare with Juvederm, in over 20 years we have never seen a case, since the product is made from a substance native to your own body there is no need for any sort of test patch. The possibility of small bumps, or slight unevenness, can also occur as the product shifts and absorbs water in the days following treatment, but this is not common and easily resolved by gentle massage. • If it persists patients return for the Nurse to massage, or to balance out the area with a small amount of Juvederm or melt away the excess with a product called Hyaluronidase. But this occurs in less than 5% of all patients. Occasionally, a bluish discoloration (Tyndall effect) occurs. Usually this happens if the product is injected too superficially, and since our nurses have tremendous experience, it is a very rare event indeed at the Baywood Clinic, though we occasionally see a patient who has had this happen during a treatment elsewhere. The color can last several weeks or months. Overall, our complication rate is extremely low, and in virtually every case where a patient experiences one, we are quickly able to make any corrections needed so that they are satisfied with the result. 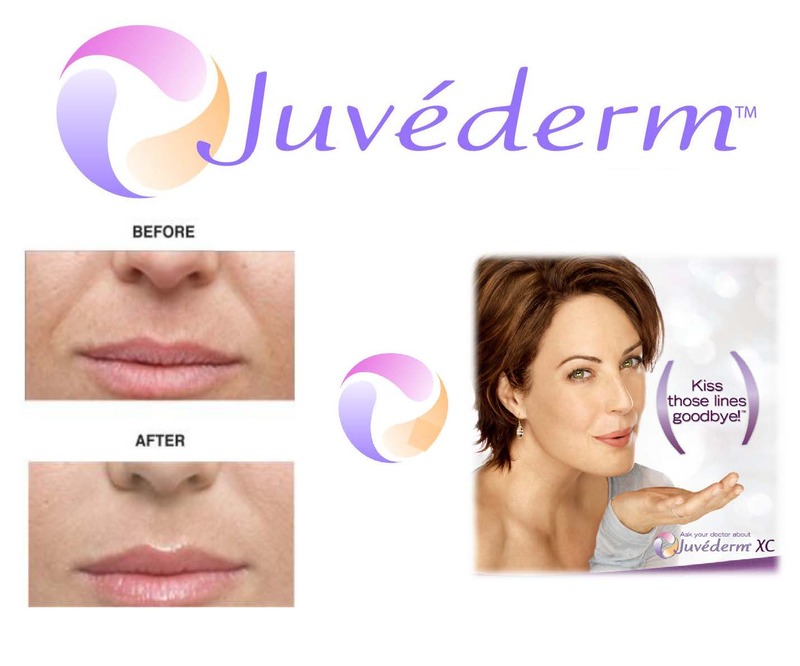 Juvederm makes a variety of products with increasing density or size of molecules. Research shows that hyaluronic acid, the major active ingredient in Juvederm, one of the best possible skin plumping and filling ingredients. Hyaluronic acid is a glycosaminoglycan, and it is an important, naturally-occurring substance that forms a vital part of your skin’s underlying matrix, which lifts and supports the surface layers of the skin and allows them to retain their youthful and healthy appearance. Hyaluronic acid is the major glycosaminoglycan in your skin, and it functions to keep skin stable, soft, and renewable. • Hyaluronic acid also acts as what is called a humectant, which means it can draw water from surrounding tissue, almost like a magnetic sponge. Humectants are the sort of ingredients you will find in many skin-care products such as moisturizers, night creams, and expensive skin-rejuvenation products. They allow the skin to maintain a well-hydrated, and fuller appearance, while also providing protection against dryness. • The smallest molecule Juvederm products are best suited for very fine, or superficial lines; the mid-sized ones suit moderate wrinkles like those between the nose and lips or are good for lip augmentation; the largest are used when we need to add a lot of volume, for example to lip and plump up your cheeks, or add or contour the chin or jawline. It is important to evaluate you face, and listen carefully to your wishes, to choose the right products for your unique situation. Typically, the larger sized molecule products are a bit more expensive, but fortunately they also tend to last quite a bit longer too. • The amount of time a Juvederm product last also depends on the area, those areas that are very mobile, like the lips, tend to need re-treatment more often since the product is under constant pressure from movement. Areas like the cheeks or the frown lines can last much longer since there is much less, if any movement. One of the doctors had his “elevens”, in between the eyes, filled over 5 years ago, and there is still no need for re-treatment. Of course, he keeps the frown frozen with Botox , so there is no motion. Juvederm is one of the hyaluronic acid wrinkle fillers, which are by far the most common fillers used in the world today. 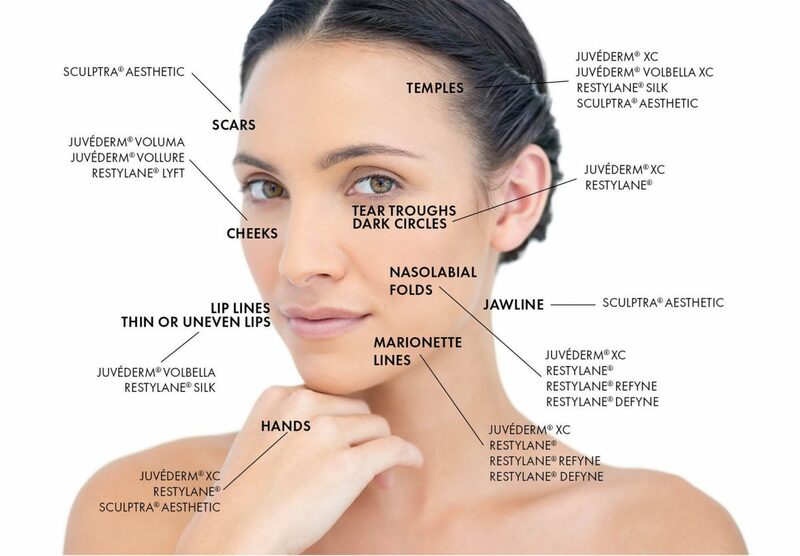 Together Juverderm and Restylane (a similar product we have used in the past) make up the large majority of fillers used. They are popular because they are safe, well studied, give excellent results, and have the backing of major international corporations. • The most common, but temporary side effects include redness, bruising or swelling at the site of the injection. These are very time limited, and we do not often see these at our Toronto Juvderm clinic. • You can reduce the risk of bruising by avoiding alcohol, green tea, and alpha-omega acid products, painkillers like Aspirin, or any nutritional supplements for 48 hours before your treatment. These products thin the blood, which is why they are generally good for you, but they can increase the risk of bruising. • Our nurses are very experienced with the use of fillers, and use various advanced techniques, such as injection with a special canula, which reduce any the risk of these minor side effects. After treatment the judicious application of ice reduces the risk of swelling. • Most patients book and afternoon or early evening appointment for their Juvederm treatment and are all set to return to work the next day, In the event of some slight bruising, within 24 hours the application of some light makeup typically resolves the problem, and within 2-3 days even that is not usually necessary. This all depends on many factors, including the area that you have injected, the type of filler that is used, and your own natural bodily metabolism. Typically lip augmentation lasts 4-8 months, fillers for the naso-labial folds or mouth area last about 12-15 months, and cheek or chin injections 18 months or longer. Many patients prefer a maintenance, stacking strategy. So, for example, they inject two syringes into the fold around the nose and mouth area, and then every 8-12 months come back for a maintenance single syringe to keep the volume at the level they desire. This is a very popular pattern for many patients using Juvederm fillers. Skin fillers are among the safest cosmetic procedures that are performed in Toronto, but there are a few very important factors that should go into your decision whether to use them and in choosing where to have the procedure done. • Don’t let price be the major factor in your decision. There are many coupon deals out there, and even on-line message boards that seem to offer impossibly low prices for fillers in Toronto. You can be assured that if it’s a seemingly incredible bargain it is likely that either the product being used is not the highest quality, or that the injector is not experienced, and may not even be a licensed provider. Every few months there are horror stories of unlicensed injectors causing serious disfigurement or other problems from bargain-basement practices. • NO serious medical professional would ever come to your home or workplace to perform filler injections. In the first place the licensing bodies in Ontario would frown on this, and secondly, it is simply not safe. Filler injections should always be performed in a medical clinic, with a doctor available, either personally performing your Juvederm treatment, or directly supervising a registered nurse. In case of any complications, like dizziness, or the extremely rare possibility of intra-arterial injection, you need to be treated and cared for immediately by qualified medical professionals. • The treatment setting should be sterile, and under the authority of a provincial medical licensing body, who guarantee that the space is clean and safe, and appropriate for injections. All needles and equipment should be single use, from the gloves, to the needles and cleaning materials. • Juvederm, or any cosmetic procedure, should never be done in homes, spas, or hotel rooms – these are not being medical environments, no matter who the practitioner is. It is simply not worth any “bargain” to take a risk with your face, or your health. • Make sure you know what product you are being injected with. We use the world’s leading brand Juvederm at our clinic, and have used Restylane in the past. We have heard stories from patients in Toronto about “bait and switch” tactics, where they were promised Juvederm from some clinic they saw on-line, only to arrive and be told, sometimes only after they asked, that the product was not in fact Juvederm. There are a number of non-licensed products floating around out there, that have not been approved by Health Canada. • We always show the patient the sealed box that the product comes in and are never offended by your questions. It is your body and your health, and we do not take any offense at your due diligence. In fact, we welcome it. If you ever visit a clinic where you are not sure what product is being used, or if the providers seem hesitant to share that information, just leave. And always ask to see the Medical Doctor responsible for the Clinic if you have any doubts. Fillers injections with Juvederm in Toronto is a wonderful way to turn back the years, and to improve your appearance by making you look less tired and more youthful. But it is a serious decision. Patients are committing a fair amount of money and time, and it is important that they feel they have got good results for their money. We offer no pressure, no-upsell, no charge consultations, during which we go through all the details of the treatment as described above, as well as the likely costs. It is not often possible to exactly predict how many syringes of Juvederm filler you might need so we typically provide a range. Let’s say a patient wants volume in the cheeks and a bit of lip augmentation. The nurse may tell you that the cheeks will require 1-2 syringes, and the lips definitely one syringe. Once you are ready to proceed, she would inject one syringe in the cheeks, and one in the lips, and ask you to return in about a week. It might be possible that you are satisfied with the single Syringe of filler in your cheeks, but you might also feel that you would like some additional volume, in which case this does not come as a surprise, since that possibility was discussed in your initial consultation. We never want to mislead or deceive our patients and are always upfront about the costs and likely number of syringes needed. Our prices are in the lower end of the range for proper, medical clinics, especially given the experience and training of our nurses, who often act as trainers for nurses you might find in large chains. Our goal is always to provide you with the best possible care, so that you have absolutely no hesitation returning, or recommending us to your family and friends.